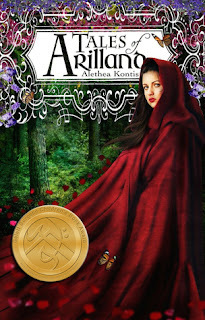 In the fairy tale realm of Arilland, stories are told at children's bedsides--and not the stories you think you know. Tales of Arilland is a collection of fairy tales, presented in the magical topsy-turvy way that only Alethea Kontis can do. Discover the story of Bluebeard's first wife ("Blood From Stone"), what really happened to Snow White in those dark woods ("The Unicorn Hunter"), how dangerous the Little Mermaid might have been ("Blood and Water"), and just how far Little Red Riding Hood was willing to go ("Hero Worship"). Included in this collection is "Sunday," the original novelette that inspired the award-winning novel Enchanted, as well as "The Cursed Prince," the previously untold history of Prince Rumbold of Arilland…and more. I was a bit disappointed in this edition in the world of Arilland. The short fairy tales were a lot of fun, I especially enjoyed the story Blood and Water, but it just wasn't what I had expected from the series. Many of the stories were just a couple pages long, which I know is true of some tales, but they just didn't seem to have anything to them. On top of that, half the book is the novella that was turned into the book Enchanted, so I really felt like I was reading the book all over again - only in summary form. I think most of these tales would have been better as stand alone stories in the world of Arilland or given as little extras througout the series. However, if you're just looking for a taste of something fanciful, or want to see a little more about Arilland before diving into the series - then this will be just up your alley. 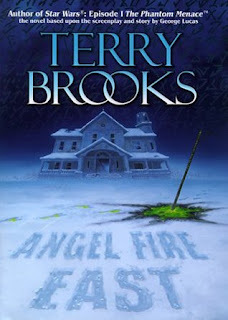 Angel Fire East marks the close of Terry Brooks's Word and Void trilogy, which began with 1997's Running with the Demon. In this book, the story returns to Nest's native Hopewell, where once again Nest and John must face off against the Void. This time, the demon is the ancient Findo Gask, along with his sidekicks: a giant albino demon, a shapeless ur'droch who lives only to kill, and a self-destructive psycho named Penny Dreadful. The story begins when John Ross shows up at Nest Freemark's door with a young boy. He reveals that the boy, who he calls Little John, is actually a gypsy morph, a creature born of wild magic and capable of enormous deeds, for good or evil. Both sides have approximately one month to unravel Little John's secrets and recruit him for their cause. Because after one month, the magic that holds him together will tear him apart, and his powers will be lost forever. There is a little bit of closure to Nest's story in this one, but it still leaves a lot to wonder about. John Ross enlists Nest's help once again, this time to figure out a way to keep a gypsy morph (I had no idea what it was for a long time) away from the Void and turn it to work for the Word. This book felt a little lost at the beginning. There were lots of things happening that just seemed to be for no reason - but I guess that's the nature of demons?? It wasn't until about half way through that things really started to make more sense. 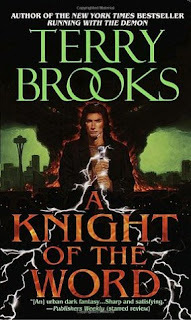 In many ways this is the darkest book of the series by far. I'm glad I read the series, I'm hoping to see bits and pieces of the lore pop up once we get back into the Shanarra portion of the story arc. I really miss it. The second story of John Ross (I feel like I have to call him by his whole name) and Nest is a turning of the tables. This time, John Ross is in trouble and Nest is being sent to help him save himself. John Ross has forsaken the Word and the demons are on the hunt. The biggest downfall of this one? I figured out the demon quite early on, and it really ruined the atmosphere for a lot of the story. I didn't get that OMG "surprise, it's me!" moment I was looking for. While there are some very exciting moments, overall it seemed to move quite slowly with a lot of random sidetracks. I think they were there to confuse you a little so you couldn't guess who the demon was, but they just seemed a little too obvious. Nest was not decisive enough for my taste. I wanted her to go in and take charge, demanding that John Ross listen to her, but she just wasn't like that. I can see how this world become the world of Shannara, but I sort of want to get to the point already. These are good, just not something that will ever become a favorite. Maybe I just want my Shannara back already! The forces of Darkness have only gotten stronger as Aidan struggles to control his newly awakened abilities that seem to be his only hope for fixing the mess he made by waking up his little sister, Ava, who seems to think it’s all a game as she taunts him and begins a torturous game of cat and mouse. And while Rebecca isn’t sure where she fits in the fight, one thing she does know is that something has gone very wrong inside her. And uncovering what it is could upend any hope Aidan has to save the lives of everyone he’s grown to love. 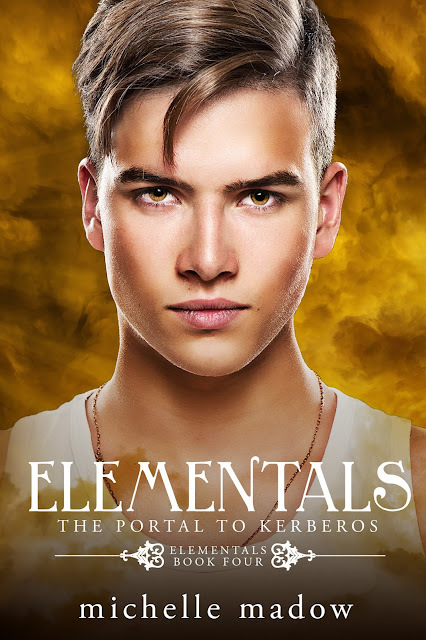 Everything he’s built, everything he’s fought for until now, hangs in the balance—as well as the fate of the world. Now Aidan and the Lights he’s brought together must take their true place to fight the forces rising from the shadows at a startling rate, forces trying to tear them apart. But when Aidan can’t save the one thing he needs the most, he begins to wonder if he’ll have anything true left to hold on to in the end.